﻿ Michael Owen: "Cristiano Ronaldo is Real Madrid's best player ever!" 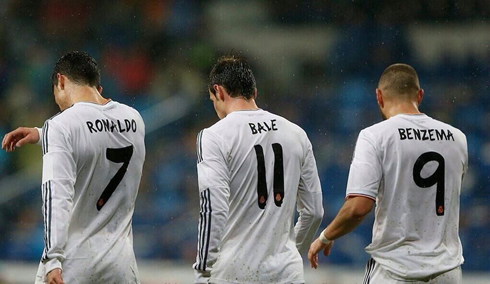 02.05.2014 » Michael Owen: "Cristiano Ronaldo is Real Madrid's best player ever!" According to Michael Owen's own words, Real Madrid has never had a better football player in their ranks than Cristiano Ronaldo. The former England international has been giving voice to his opinion on SportLobster lately and besides his remarks on CR7, he also reviewed some of his best days in Madrid in 2004 and 2005. Just a few days after having broken the UEFA Champions League record for the most goals scored in a single season (16), Cristiano Ronaldo seems to be gathering a vast consensus from many pundits in ranking him as the best football player to have ever worn a Real Madrid jersey. With his two latest goals against Bayern Munich this last Tuesday, the Portuguese forward has now reached the 250-goal mark in only 243 appearances for the Merengues, which results on a 1.03 goal-per-game ratio. 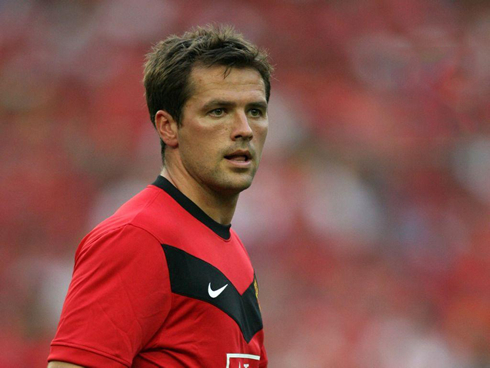 Michael Owen, the former Liverpool, Real Madrid and Manchester United star, has publicly addressed the controversial question about the best-ever Real Madrid player and didn't hesitate in rating Cristiano Ronaldo on the very top of the ranking. 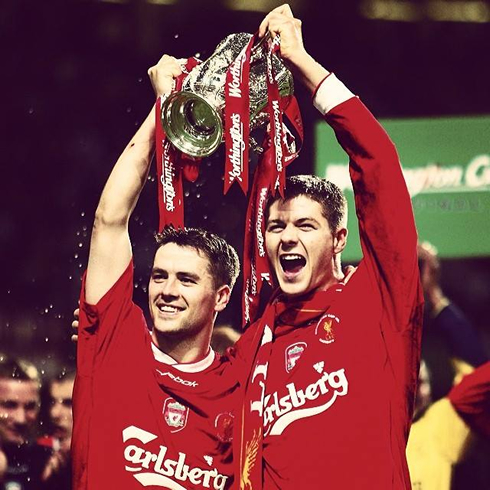 Besides having played for some of the greatest clubs in the World, Michael Owen can also be proud of having won the FIFA Ballon d'Or in 2001, an award he received while he was still playing for Liverpool. He scored 158 goals in 297 games for the Reds, just before he got transferred to Real Madrid for a 8-million transfer fee, in the summer of 2004. In Spain, Owen had the opportunity of a life time, as he shared the dressing room with true legends of the game during the peak of the "Galacticos" era. 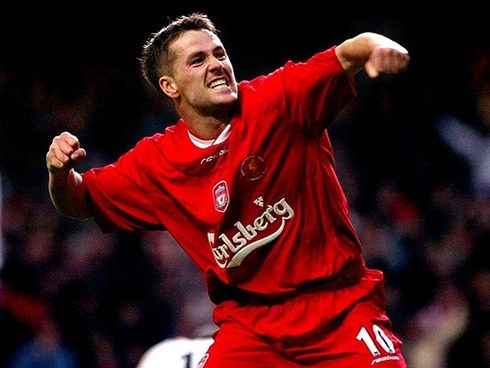 Michael Owen: "I never really intended to leave Liverpool back in the days. However, having a club as big as Real Madrid knocking at your door basically makes you change your plans in the blink of an eye. I had an unforgettable season in Spain and to have had the chance of playing alongside the likes of Zinedine Zidane, Robert Carlos, Raúl, David Beckham, Ronaldo and Figo was just priceless! 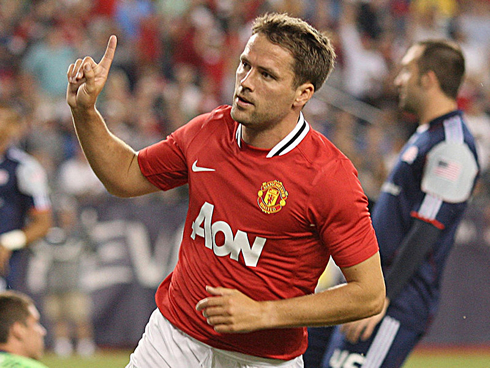 ", started by pointing out the former Manchester United and Newcastle forward. 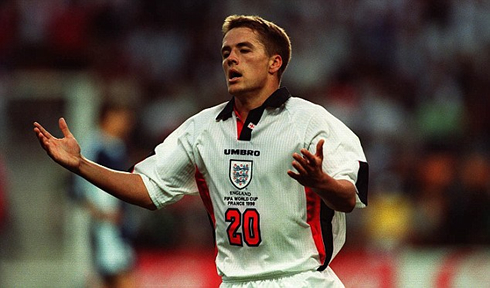 Owen: "I remember being quite nervous on the day of my presentation and I was also very afraid of doing those usual tricks in front of the media and the fans that came to see me at the Bernabéu. I also recall the first day I entered in the club's dressing rooms and the how I got impressed with the way they were so organized and how each player had its own locker with a big poster and his name carved in a plate. I had never seen anything like that in my life! ", confessed the 34-year old, who ended up only playing for a single season in La Liga. 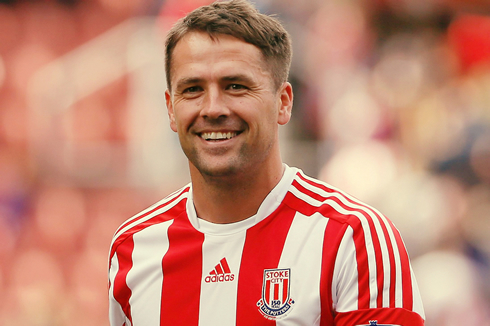 Just like many of us, Michael Owen continues being an avid and enthusiastic football fan, despite having hung his boots up at the end of last season, following a disappointing 1-year adventure in Stoke City. Currently commentating games on BT Sport 1 and occasionally appearing on BBC's "Match of the Day" as a football pundit, Owen keeps following La Liga and Real Madrid's campaigns very closely. In his opinion, Cristiano Ronaldo is second to none when it comes to assess who has been the best player ever in the club. Owen: "Cristiano Ronaldo was the fastest player in Real Madrid to have scored 100 goals. He holds the record for the most goals scored in a single season and he has even beaten Puskas' 242 goals record in less games than him. For those and many other reasons, I think that Cristiano Ronaldo is Real Madrid's best player of all-time...", stated the Chester-born player. 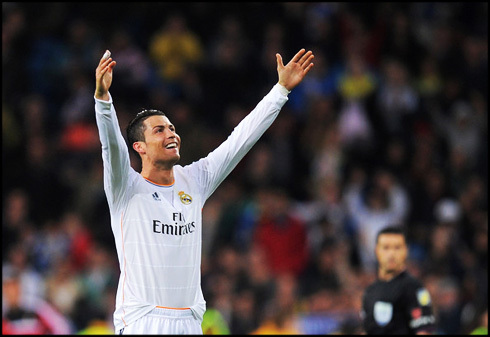 Cristiano Ronaldo next game for Real Madrid will be against Valencia, for the Spanish League 'La Liga', on May 4 of 2014. You can watch Juventus live stream, Real Madrid vs Valencia, Barcelona vs Getafe, Everton vs Manchester City, and West Ham vs Tottenham, all matches provided from our football live streaming pages.